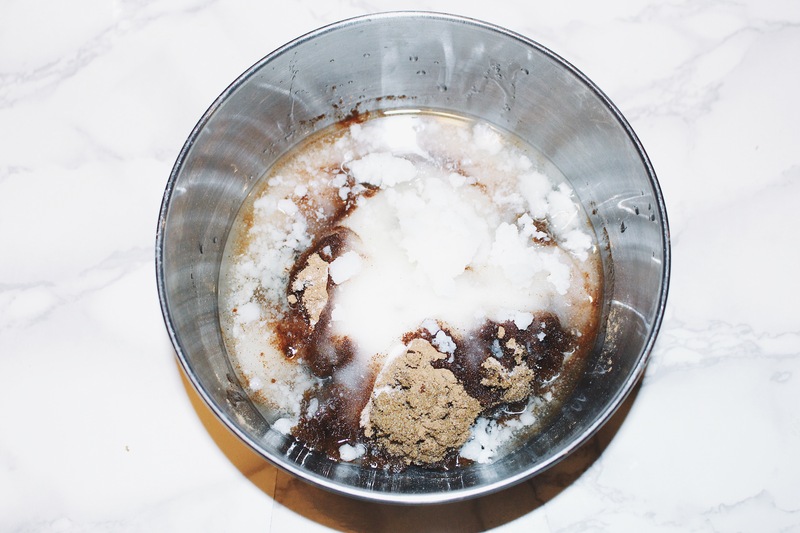 As you can probably tell by now, I love making DIY bath sugar scrubs! They’re fun to make, smell amazing and cause your skin to be super soft! 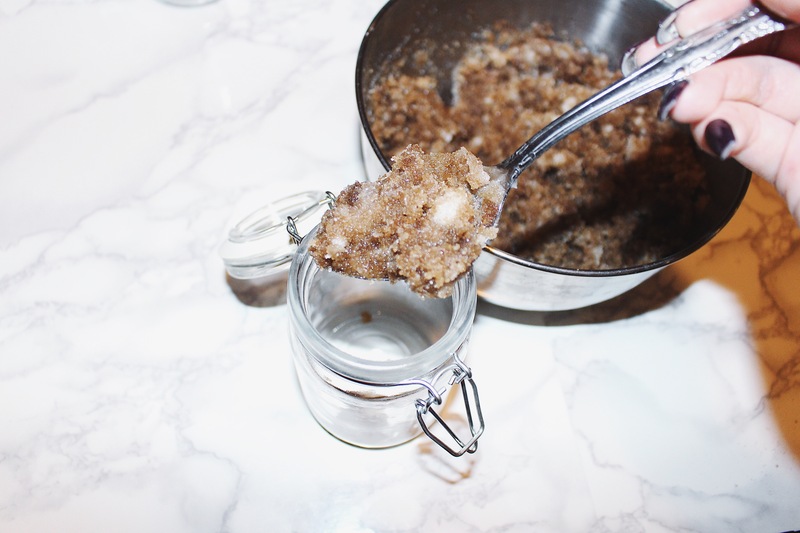 Last month, I made a DIY: Cinnamon Apple Pie Bath Sugar Scrub. For October, I decided to do a Pumpkin Pie Spice one. I absolutely love these sugar scrubs. I use them almost everyday, if not, once a week. Let’s get into the DIY. I hope you all enjoy! 1 teaspoon pumpkin pie spice – I add more than a teaspoon, it’s all about preference and how strong you want the scent to be. 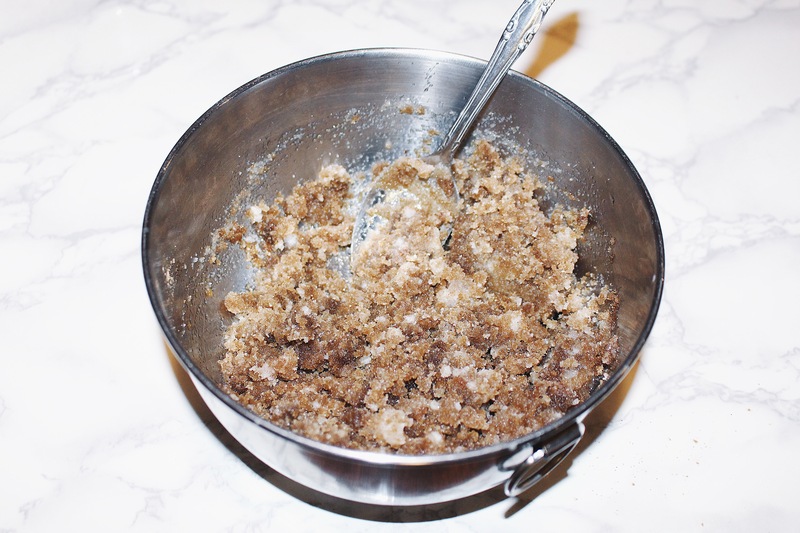 Measure out your brown sugar and granulated sugar and pour into a mixing bowl. Measure out and melt your coconut oil. Pour it into the mixture and mix to coat everything. Add in more granulated sugar if your mixture is too wet. 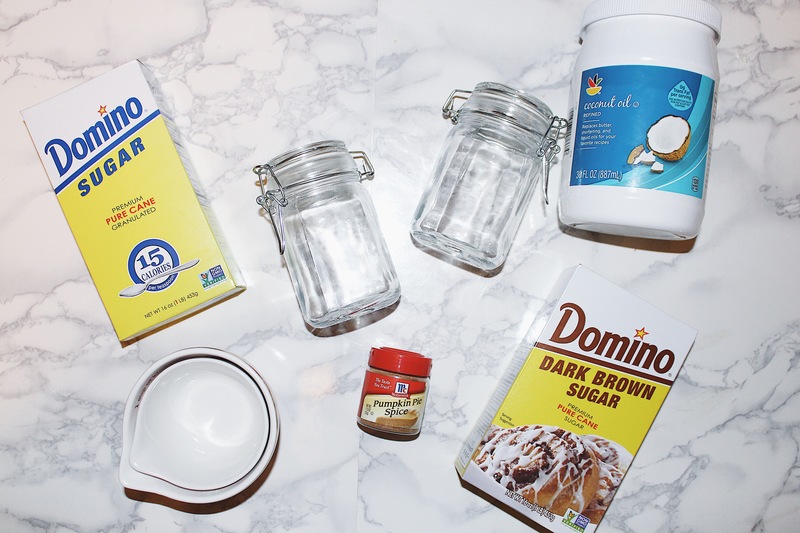 Begin pouring your sugar scrub into your jars. 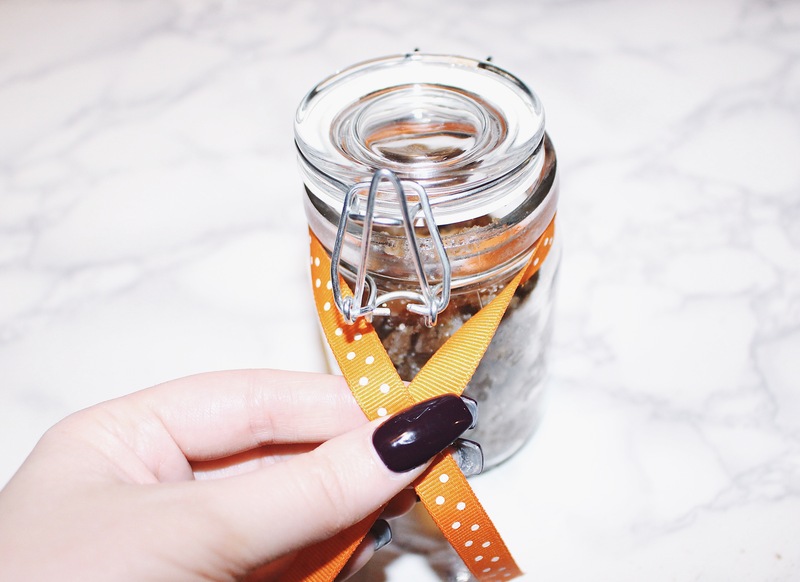 Tie an orange ribbon around the jar for decoration! Pour a hot bath and enjoy! This bath sugar scrub is absolutely amazing and how cute are they? 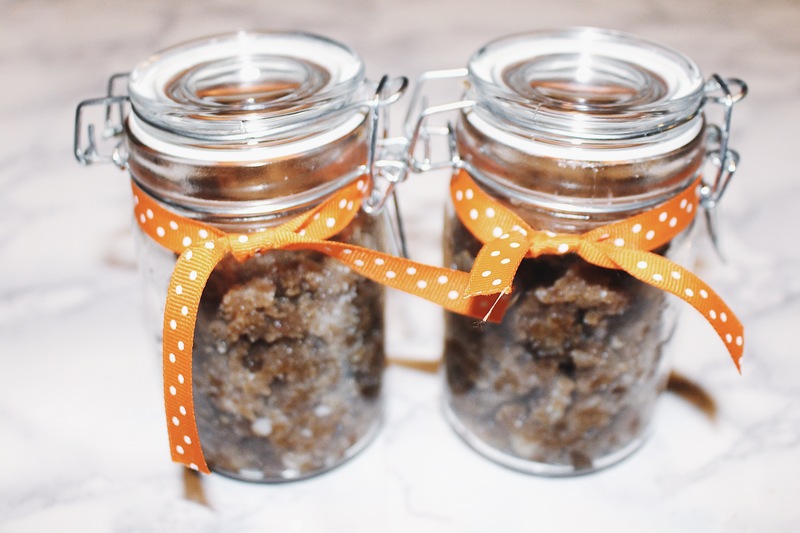 These sugar scrubs are a perfect gift to give someone! 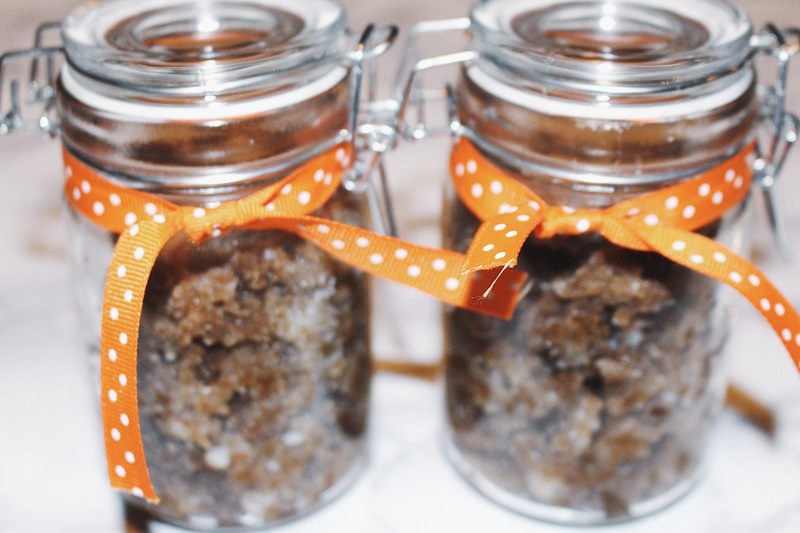 If you’re not into Fall scents then check out my DIY: Lavender Bath Sugar Scrub post! Your bath scrubs are amazing. I can almost smell them from here. Do you sell them? They look so cute. I’m gonna try making one. Thanks for sharing. omygosh!!! I wish I could be good at DIY, you’re awesome! Awhh thank you so much! & anyone can be good at DIYS! Give it a try girl!